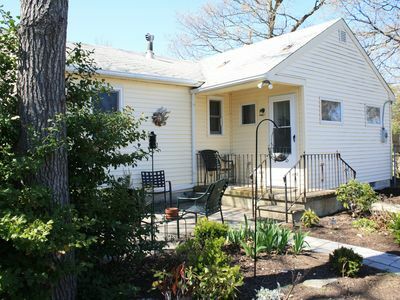 This is a charming Dutch Colonial home on a larger corner lot, minutes to Cape May's beaches, shops and restaurants. 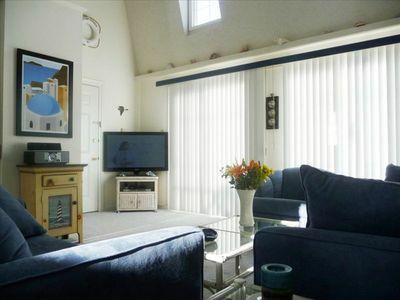 Bright and airy living room with cathedral ceiling and dining area opens to a great kitchen with breakfast bar and slider to a larger deck for outdoor entertaining. 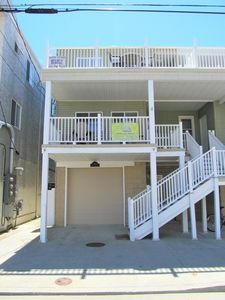 There is a Master suite on the first floor and upstairs there is a loft office sitting area, two bedrooms and a full bath. 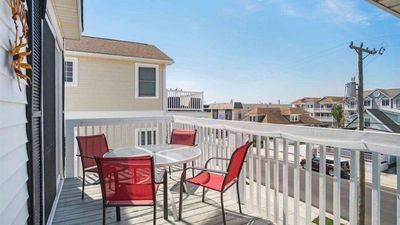 In addition you’ll find a private and separate but attached studio in-law suite on the first floor with a full bath, laundry and efficiency kitchenette with a private entrance. 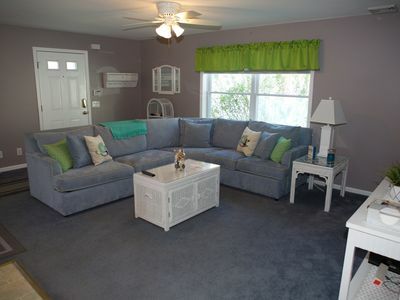 The main kitchen is large and open and sets up for a family gathering spot that is joined by the dining area and family room. 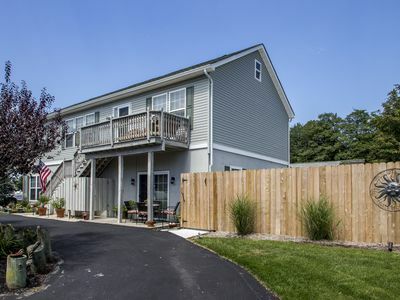 The property is fully fenced for privacy and encloses a nice grass yard for gatherings outside or an area for children to play. 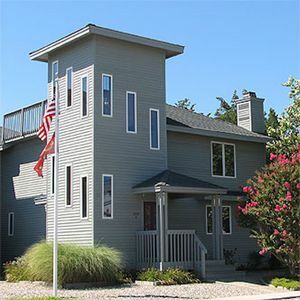 There is an outside shower featuring a cedar wood shower enclosure and a luxury rainfall shower head that provides a soothing and refreshing shower experience during the summer months. 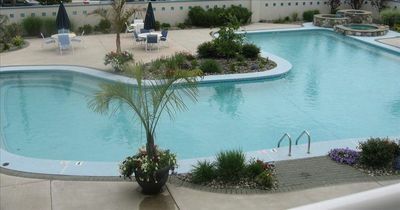 First floor sparkling clean suite with in-ground pool! 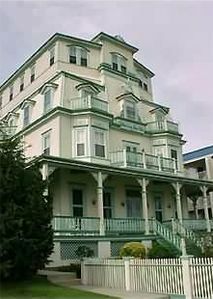 Come Stay With Us, and See Why Families Return, Year After Year. 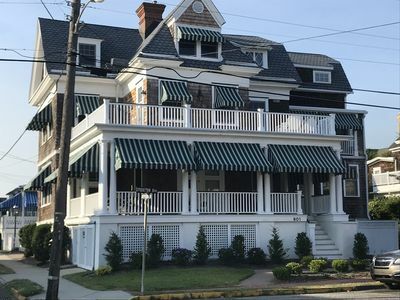 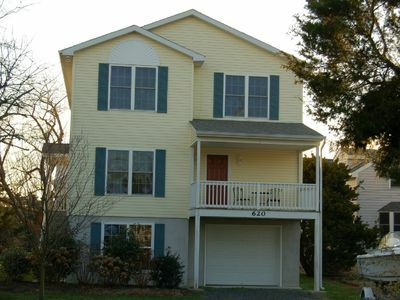 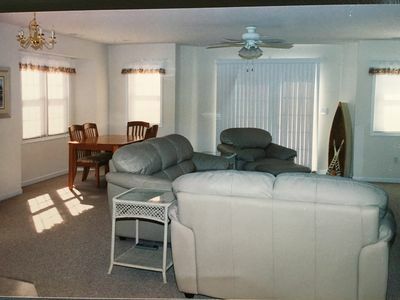 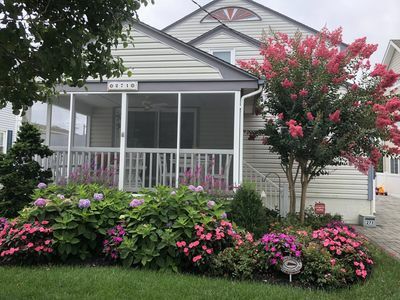 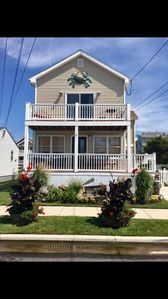 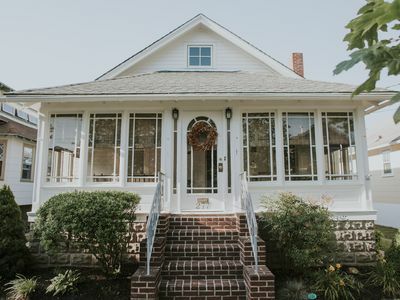 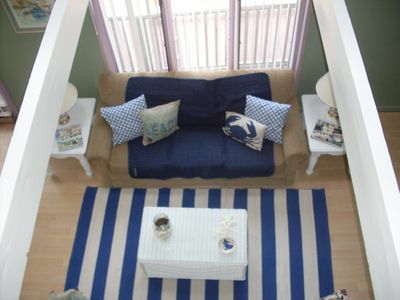 Cape May Vacation Rental - Three minute walk to Delaware Bay - Pet Friendly! 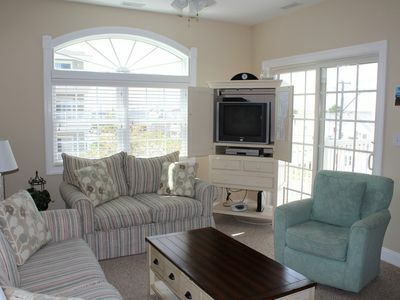 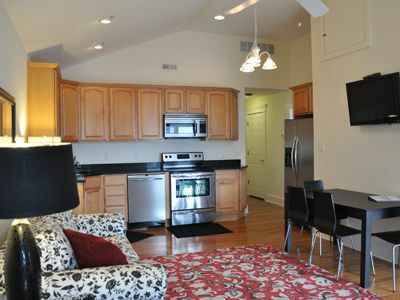 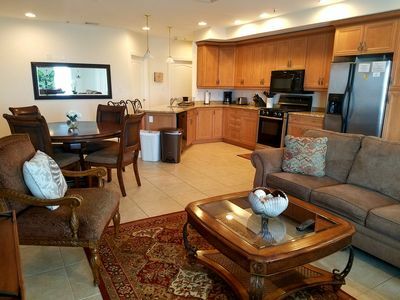 Pet friendly condo located right along the boardwalk! 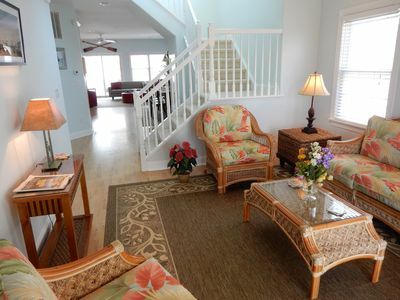 Unit 301 Beach Condominium! 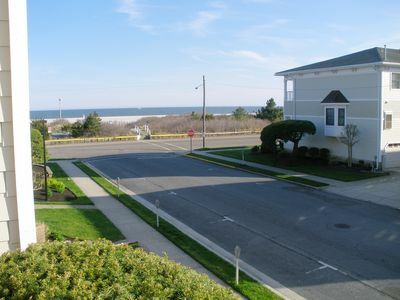 2 blocks from beach!